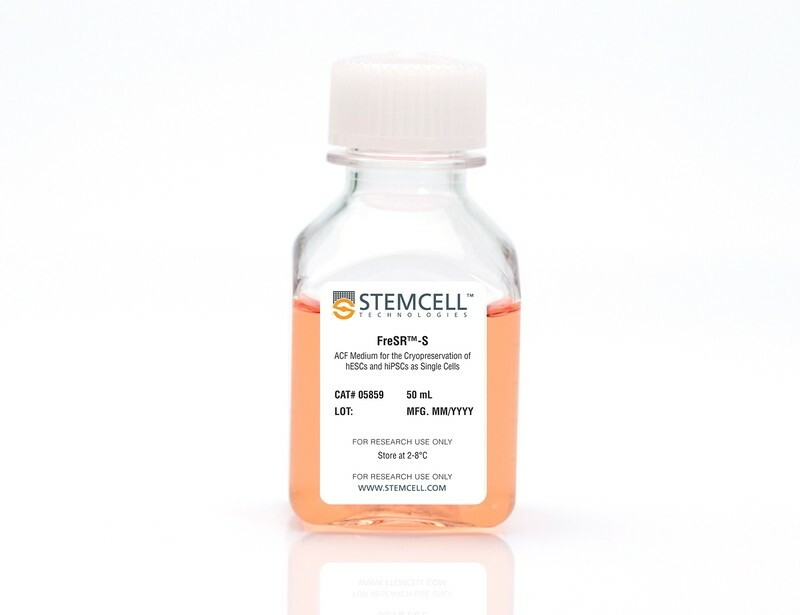 FreSR™-S is a defined, serum-free, and animal component-free medium for the cryopreservation of human pluripotent stem cells (hPSCs) as single cells. 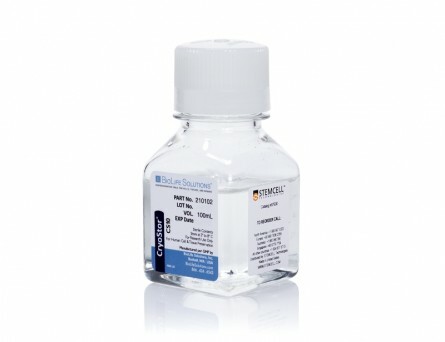 This complete and ready-to-use medium is recommended for hPSCs previously cultured in mTeSR™1, TeSR™2, or TeSR™-E8™ . Frozen hPSCs should be stored at -135°C (liquid nitrogen) or colder. 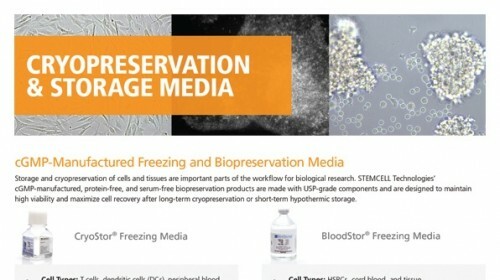 hPSCs cryopreserved as single cells using FreSR™-S have (A) higher post-thaw recovery (number of cells recovered / number of cells frozen) and (B) maintain higher viability (number of live cells / total number of cells) compared to competitor medium. All data values are plotted as percentages, (n=18, p < 0.0001 for each). 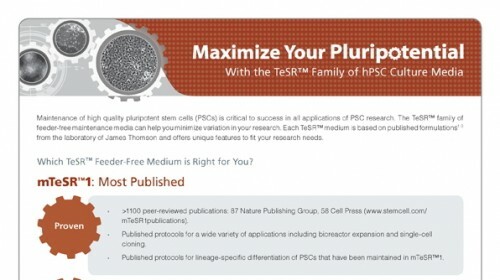 hPSCs are cryopreserved in FreSR™-S at lower cell density compared to traditional methods. Graph indicates the number of vials cryopreserved for each well of a 6 well plate that is harvested. 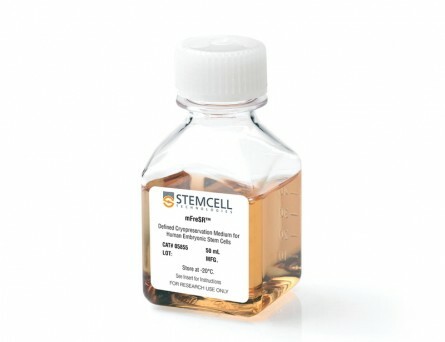 Note: 1 vial is typically thawed and seeded directly into 1 well of a six well plate. 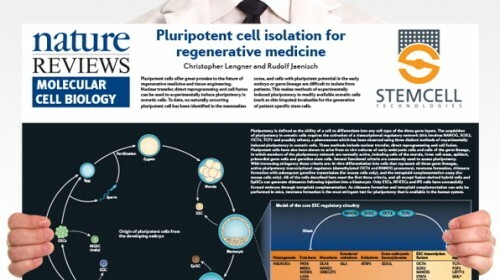 Cells should be cultured as aggregates after thawing. 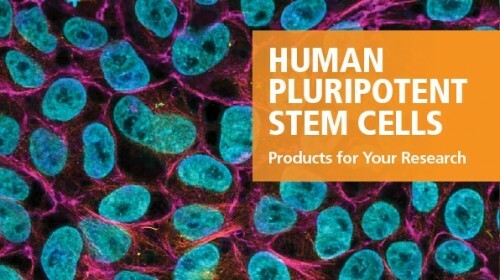 Karyograms of (A-B) WLS-4D1 hiPS cells and (C-D) H1 hES cells that were frozen and thawed as single cells using FreSR™-S. (A, C) Thawed cells were seeded into culture containing TeSR™-E8™ medium and 10 µM Y-27632 and maintained as aggregates for five passages. 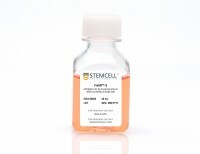 (B,D) hPSCs were also subjected to a second freeze-thaw cycle as single cells with FreSR™-S and cultured for five passages as aggregates prior to collection of karyotype data. Recurrent gain of chromosomes 17q and 12 in cultured human embryonic stem cells. 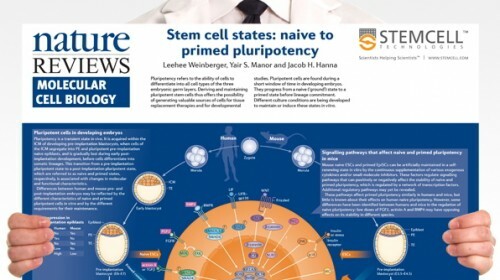 We have observed karyotypic changes involving the gain of chromosome 17q in three independent human embryonic stem (hES) cell lines on five independent occasions. A gain of chromosome 12 was seen occasionally. This implies that increased dosage of chromosome 17q and 12 gene(s) provides a selective advantage for the propagation of undifferentiated hES cells. 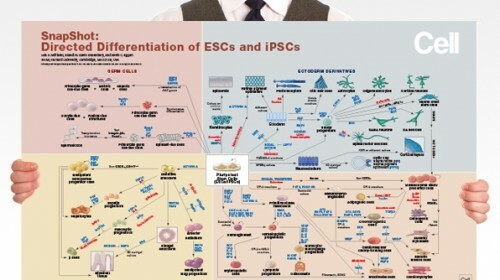 These observations are instructive for the future application of hES cells in transplantation therapies in which the use of aneuploid cells could be detrimental.